The PR100 is a full-page, multi-illumination e-Passport reader. Contactless reader. 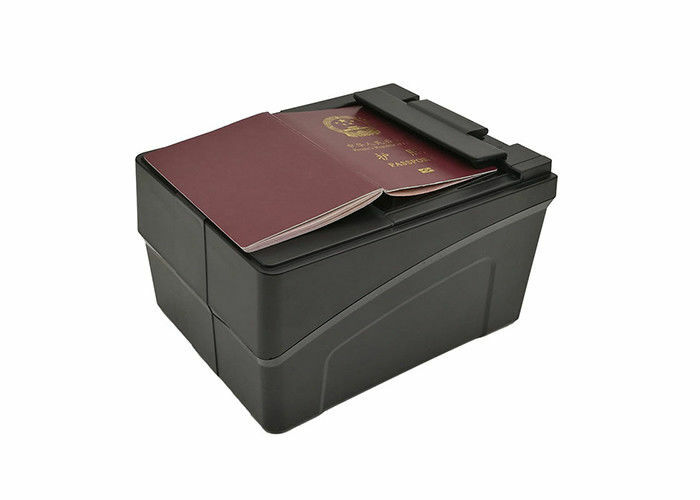 It provides perfect solutions for scanning passport, e-passport, visa and other Electronic Documents & Paper Documents, ISO14443 TYPE A/B/C & NFC smart card, which make it can be applied to the variety of industries. 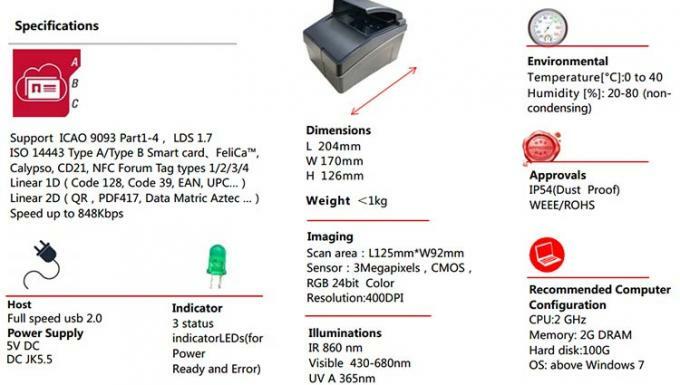 Printed data is extracted from the entire data page, from MRZ (1~3 Line), OCR and 1D(Code 128, Code 39, EAN, UPC), 2D(QR,PDF417, Data Matric Aztec )barcode, while digital data from contactless ICs. Multiple illumination sources: visible, IR and UV are available.